It’s time to MAKE something with our Cricuts! Yesterday you met your Cricut, got it all plugged in and positioned, and learned about it’s buttons and various bits. Today we’re going to register our machines and do the starter project, which is similar for both the Cricut Explore and the Cricut Maker. But we’re going to go one step further and talk about the different things you can cut on each of these machines. 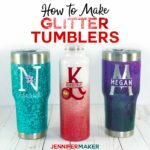 So let’s get your Cricut setup with your computer and registered! So we’ll start by opening up a web browser on our computer — I recommend Google Chrome, but you can also use Firefox, Safari, or Internet Explorer. 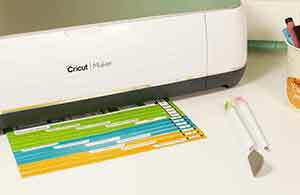 Now type in cricut.com/setup just like it’s listed in your setup guide. The setup screen walks you through the entire setup process — to begin, click on the green Get Started button in the lower right hand corner to continue. Next, the Cricut plugin lets your computer communicate with your machine. Click the green Download button to download the plugin file. Once it’s downloaded, open or run the plugin. Follow the directions onscreen to install the plugin. Once it’s installed, click continue in the browser. Now you need to create a Cricut ID and password for your Cricut Design Space account. You’ll need this to use your Cricut, and it will give you access to images, projects, and purchases across all of your devices. 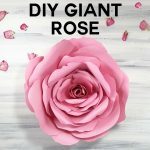 If you already made an account (perhaps to buy your Cricut on cricut.com initially), type your email address and password. 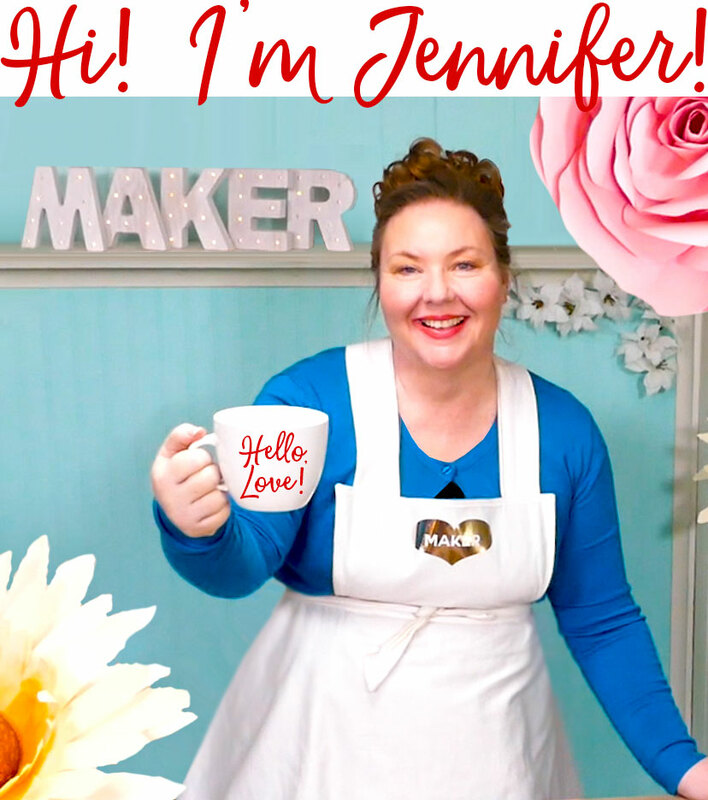 But if this is your first time logging in, click the Create a Cricut ID and fill out your information and click the Create a Cricut ID button. 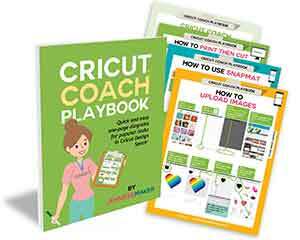 In creating your Cricut ID account, you get a free trial subscription to Cricut Access. This is a service that gives you unlimited access to tens of thousands of images and patterns. I have a Cricut Access subscription and I find it valuable, but it’s completely optional and not required to make great things. 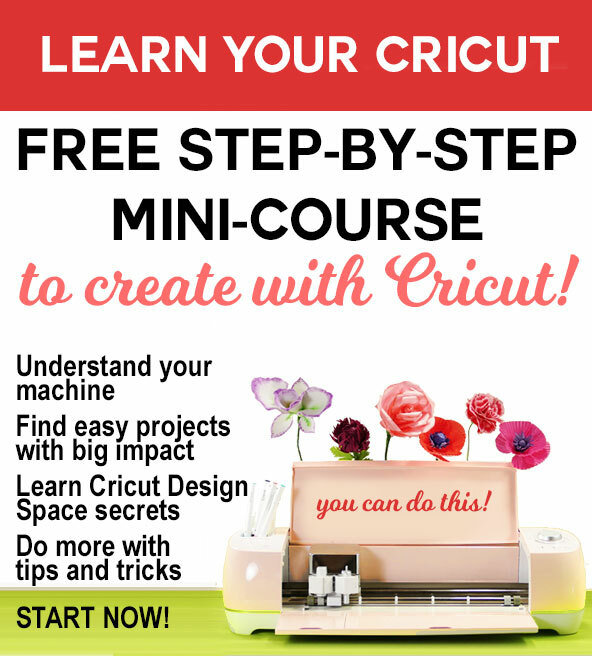 So now click the green Accept button to get your free Cricut Access trial, along with any special images that may have come with your machine purchase, as some get bonus images. Great! And now we’re ready to create our first project. In your Start Here packet are some cutting materials. It varies based on what machine you have — for the Cricut Explore Air, I have gray cardstock and blue cardstock. If you have the Cricut Maker, you also get some fabric. Plus everyone gets the tools you need — a mat and a pen — for the first project. To start, remove the protective cover from the mat. This cover will be used later when you’re all done, as it protects the mat and keeps it from sticking to other things. Now locate the cardstock that came in your packet and place it vertically on your mat. You’ll want to put it in the upper LEFT HAND corner of your mat, lined up with the adhesive grid. Smooth everything out. If you put your cardstock on wrong the first time, which I’m pretty sure I did. Here’s how to fix that. Turn the mat over and bend it gently, removing the cardstock slowly. If you do it like this, your cardstock will not curl or tear. Now just turn your mat back over and carefully position your cardstock again. It helps if you put just one corner down first, and then if it looks good, lay down the rest, smoothing it as you go. You don’t want any creases, wrinkles, gaps, or air bubbles. Now let’s load the mat in the machine. Put your mat under the mat guides on either side of the rollers. Keep the mat pushed against the rollers with gentle pressure, and then press the Mat Load/Unload button on the top right of your machine (the one with the double arrows). Your mat and the cutting carriage will move. If your mat does NOT move when you do this, that means you did not have enough pressure against the rollers when you pushed the Load/Unload button. Push the Load/Unload button again to reset it, place the mat up against the rollers and press firmly, and then press the Load/Unload button. If you do it properly, it will pull in your mat. You’ll get used to this the more you do it! Now your first project will also use a pen, so we need to put that in as well. Open accessory clamp A, take the pen out of the plastic packaging. Look for the little arrow near the cap — this is important. Remove the cap, insert the pen into the accessory clamp while holding the clamp itself, and push down until it clicks and the arrow disappears into the housing. Now close the clamp and your pen is good to go! Tip: Put the cap on the end of the pen while you’re cutting so you don’t lose it! I speak from experience at losing caps here. Now we go back to our computer, where we see the Mat Preview screen. This shows us what it’s going to cut. It also shows us how the cut image will be positioned on the cutting mat. Double-check that your mat and cardstock is positioned the same as what you see on the screen. The first is to load the mat. We already did htis. The second is to set the dial to the appropriate material. We’re cutting cardstock, so we change it to carstock. If you have a Cricut Maker, you’ll instead choose cardstock from the drop-down menu on your screen. And third step is to click the flashing Cricut Cut button on your machine. Press the button and your Cricut takes off. It starts by doing any writing you’ve told it to do, and in this first project, there is writing! If your project called for scoring, which we’ll talk about in another lesson, it would do scoring first. Once that is done, your Cricut cuts your project! When the cutting is done, the Mat Load/Unload button flashes to tell you. Press the Mat Load/Unload button to unload your mat. Now before you forget, take your pen out and put the cap back on. Just open the accessory clamp A, pull up on your pen, re-cap it, and close the clamp again. Put your pen in your accessory cup! To remove the cardstock, we’ll do the same thing I showed you before. Turn the mat over, gently bend it until your cardstock releases, and hold down the cardstock while you bend your mat up and off it. If you have the Cricut Maker, you’ll be directed to cut fabric on the pink FabricMat, like this. To assemble your card, fold the cardstock in half and crease it. The Explore Air project also has a blue cardstock liner — fold that in half as well, then insert it into the card. And that’s it — you’ve made your first project! This is what my very first project that came with my Explore Air 2 looked like, so yours might looks a little different too. You can make a LOT of cards — here are some of the cards I’ve made since I’ve had my Cricut. 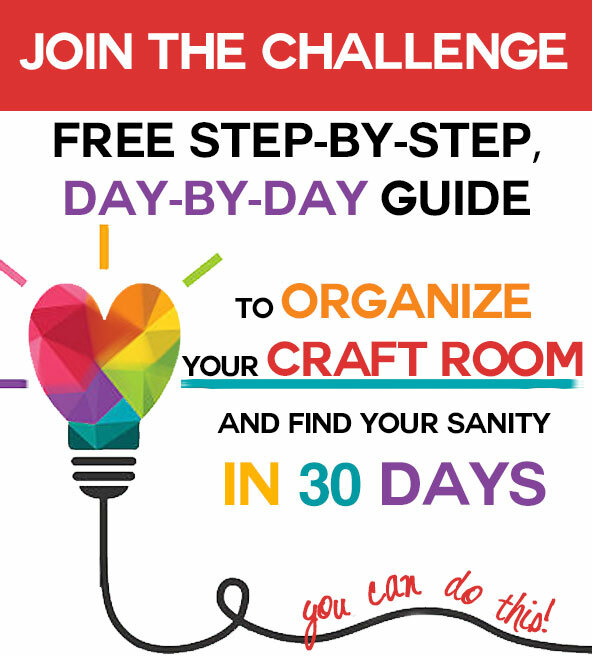 But your Cricut can do a lot more than just cut cardstock. You can also cut vinyl, like the vinyl you see here on back of my laptop (which is self-adhesive vinyl) or iron-on vinyl (like on this Santa sack). Cardstock and vinyl are the two materials most people cut, but there’s more the Cricut can do. 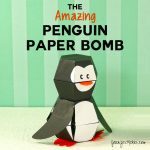 You can cut very light materials, like copy paper. 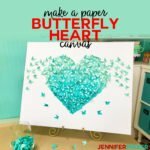 aluminum foil, sticky notes, vellum, wax paper, washi sheets, construction paper, adhesive foil, parchment paper, acetate, stencils, window cling, and sticker paper. 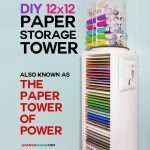 And you can also cut thicker materials like poster board, craft foam, duct tape sheets, grocery bags, leather, magnet sheets, canvas, corrugated cardboard, aluminum metal, heavy watercolor paper, and chipboard. Fabric can also be cut on your Cricut. If you have a Cricut Explore, you can cut any fabric that you can bond first with something like Wonder Under. I’ve cut bonded felt and bonded cotton on my Explore. If you have a Cricut Maker, you can cut virtually any fabric without bonding it first if you use the rotary blade that comes with it. I’ve cut felt, wool, cotton, silk, polyester, and fleece on my Maker—it’s pretty amazing. Now which blade and which mat you use for the various materials does vary, and it’s important if you want good results. In our next lesson, I will talk about using the correct mats, blades, and tools for your projects. Class Exercise: Do the starter project that came with your Cricut. 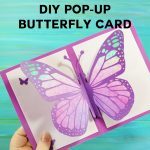 If you’re already done that, do one of my easy beginner projects, such as the Easy Layer Cards or the Butterfly Card. Take a photo of what you made and share it in our Facebook group! Next: Lesson 3: Understand Your Mats, Blades, Accessories, Tools, and More!